E) No movement is something internal in the drive train, but it can be the two black solenoids and they fail mechanically more than electrically. It is not the conductor plate as you could have it disconnected the car will still move with second and reverse(clunky but it will move). Broken spring on the overlap shift valve could do it too, but you tried driving in winter and summer modes(W n S) where summer is 1st gear shifts and winter is 2nd gear shifts..
Make sure you have fresh oil and a filter. B. Why should I change the spring since it's not broken at least that's what I assume? I didn't remove all the valves/springs from the body for the cleaning I will check on the spring to confirm? C. I didn't see the mesh filter for the pressure solenoids when I remove them on this valve body for the area you are talking about the car was made in 11/1996. 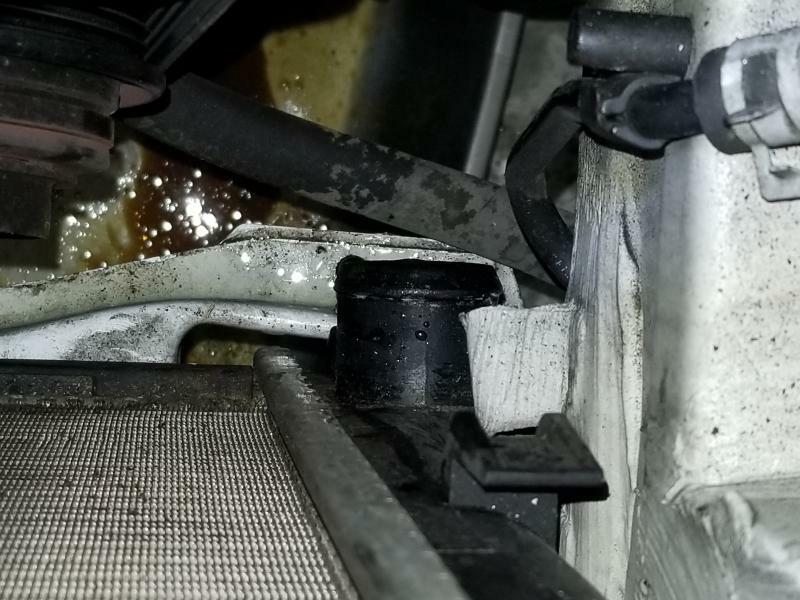 D. I don't think shifter bushing is the problem, was able to move in gears after the car was sitting for several days before I started the work, the fluid containment is the main problem I want to solve and to get as much of the containment out as possible before a flush. "there is a Pin1 and Pin3 out there somewhare"
So wanted to provide an update was able to wrap up the valve body and reinstall it. Drained the engine block and remove the old radiator (it was a pain) pics 6 and 7. Ran some new coolant from the thermostat opening to drain out the water that I used to flush it. 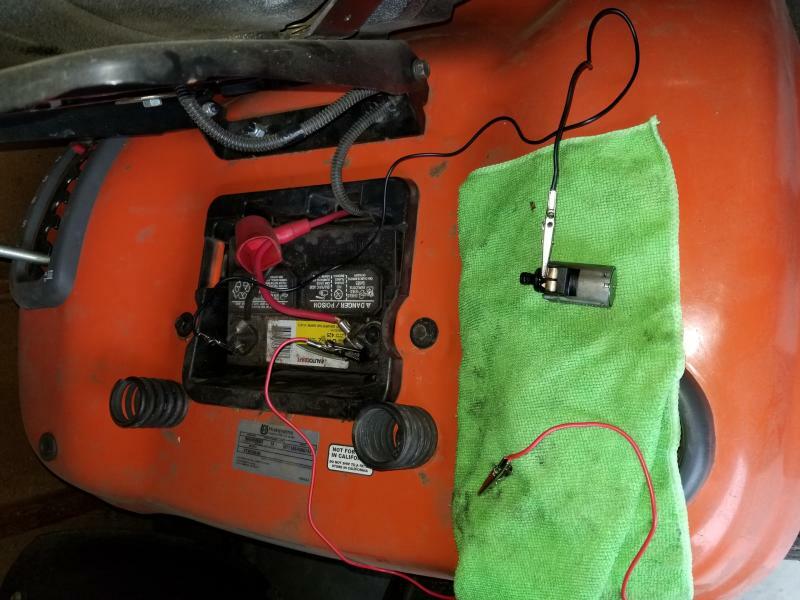 Tested the solenoids before install they passed the residence and connector test with 12V riding mower battery. Checked the valve spring looks good with the length spec. Different sources are telling me different spec. for torque on the drain pan and plug (117 and 122 in/lbs) so used best judgement. Any suggestion on what to do with bracket that is hard and in the way when installing the new the new radiator I don't want to move the evaporator too much. 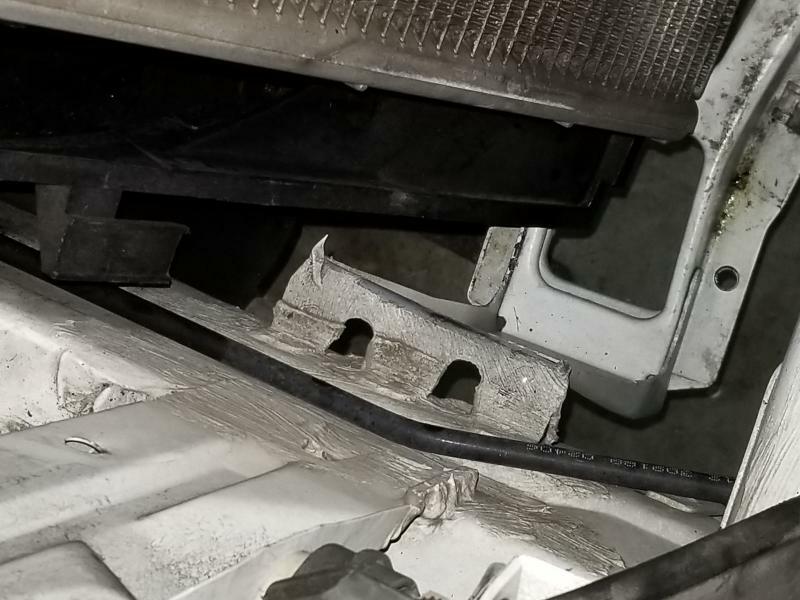 I think the car was involved in a front end collision and the bracket was not installed correctly this is from the welding that I observed on the frame. Hope to wrap this up tomorrow. 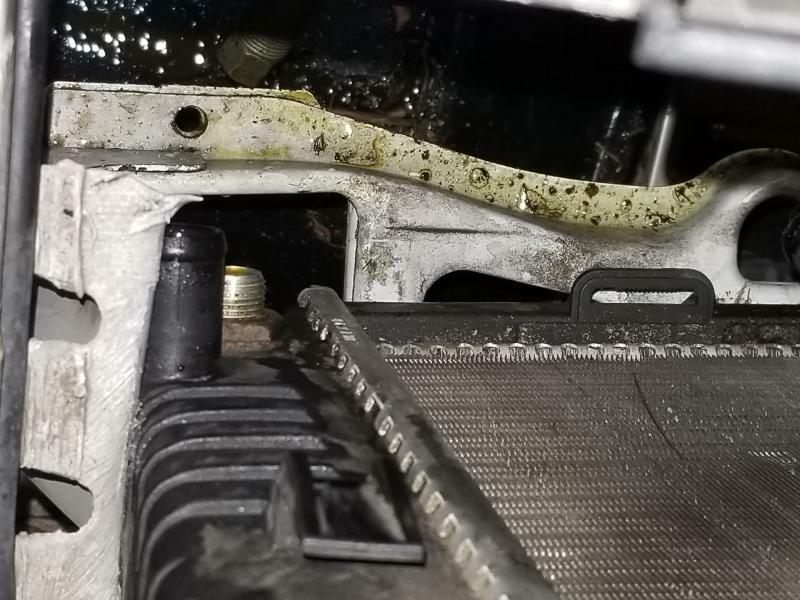 If that's the lower radiator support bracket, it is not screwed in. It's welded in, and replacement requires it to be welded just like the original one. Try to fit it anyway, if you can't, then maybe bend it out of the way just enough. --1997 MB E320 161k. SOLD...loved that stupid car. Finally finished and first try. I finally got everything put back together the new radiator is working great the flush and new coolant refill is great. 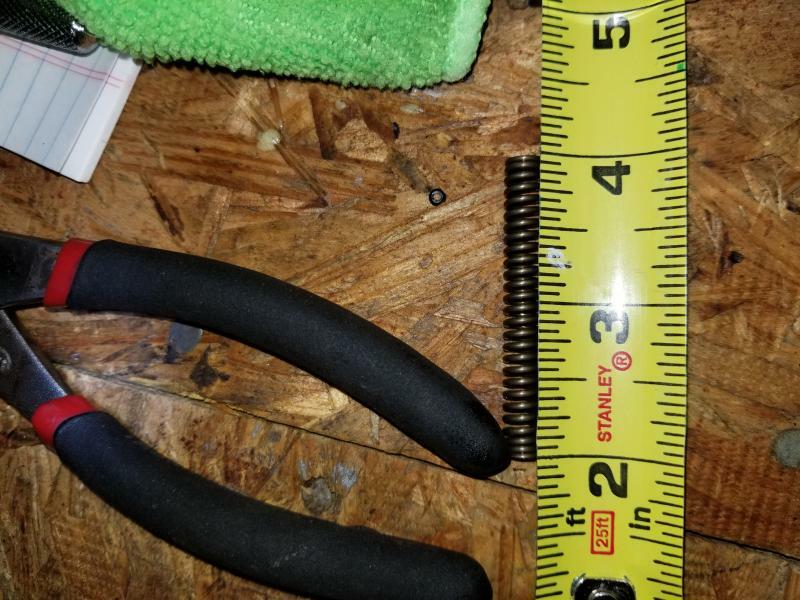 However, I am confused on the ATF flush process or if I am doing something wrong. 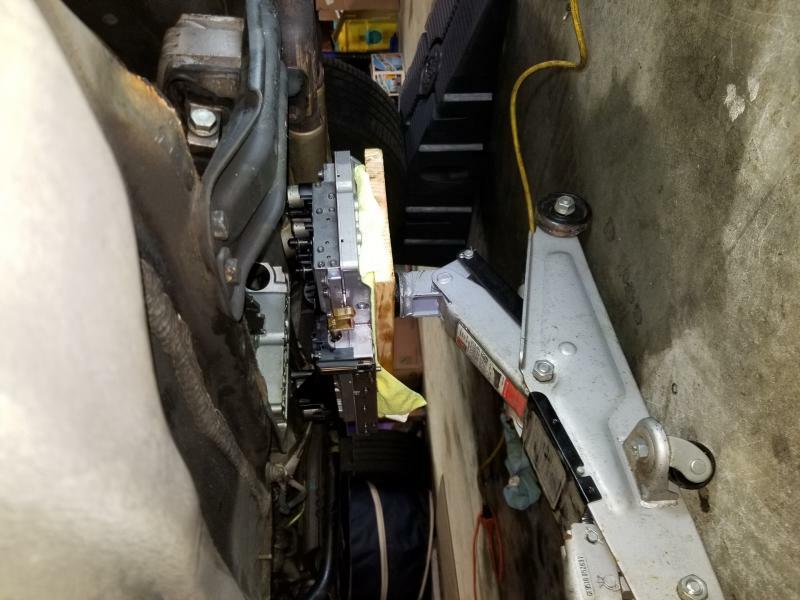 I filled the transmission up with about 7.5L of Shell 134 and tried the flush out of the return line on top of the radiator. When I turned the car on and left it in park it started to come out into the bucket, but was looking like it had too much air pockets (1st video) also it was slow flowing, I've seen others do it and it was a quick flow to fill the bucket, am I doing this correctly? Whatever drained out I refilled also. The other thing is the dipstick was measuring as if nothing was showing up between the cold/hot marks, I can confirm that there is no leaking anywhere so what is happening to the fluid. BTW, the dip stick does not go in all the way about 10" is still out I wonder if this is by design? I didn't take the car out on the road yet since I didn't want to get stuck but, was able to move through all the gears on the gear shifter N>D was hard at first, I am able to move the car so the transmission is engaging but sounds bad from Reverse to Drive and vice versa almost like rusty hinges on a door (2nd video) the car was warmed up for almost 15 minutes at the time of the video. My plan for now is to leave the car overnight and measure again in the AM and actually try the flush again from the cooler line and see if it improves, and then drain the torque converter and pan again and refill with Fuchs ATF. 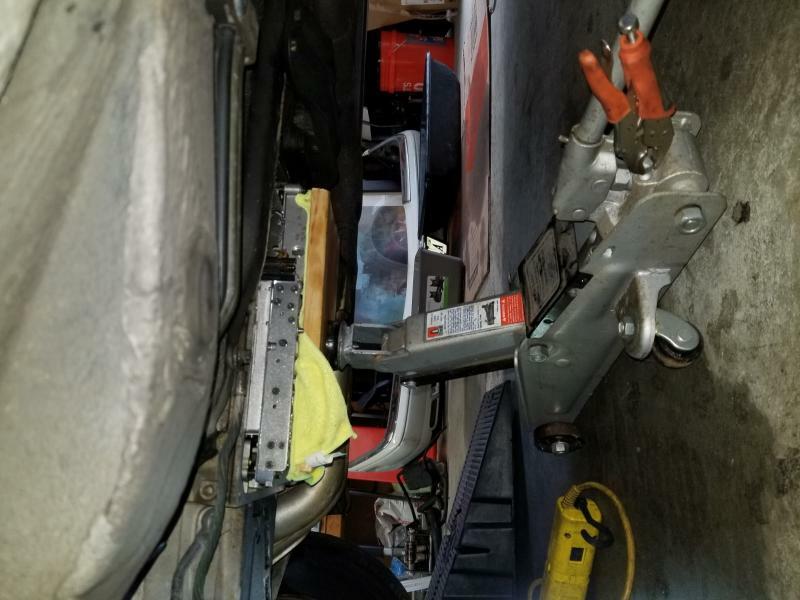 The good part is that the spinning noise at startup probably from the torque converter, the jumpy RPM reading, and hard thump noise getting into gear issues are gone. BTW, what is the actual capacity for ATF on this transmission, I am seeing between 7.5 - 9 liters in my research what is the correct amount? Did you drain the pan or also the torque converter? If you drained the torque converter, as I understand, you shouldn’t pour everything in as an initial fill. Pour in as much as drained from the pan and a quart more. Start the engine and run through the gears to let the torque converter fill. If it doesn’t engage, pour in half a quart. Run through the gears again. Repeat until the transmission engages or you pour in as much as you drained in total. For me it always engages before I pour in as much as was drained. The engine is running the whole time. If you didn’t drain the torque converter, 7.5 quarts is way overfilled. The dipstick is a factory tool. It only goes in so far. 10” extra is probably right. You only need to see the tip wet since the transmission is cold. You should be able to drive the car normally with that much cold fluid. Get it to operating temperature (too hot to touch) then adjust to the right level. If you drained the torque converter, I don’t understand the flush. 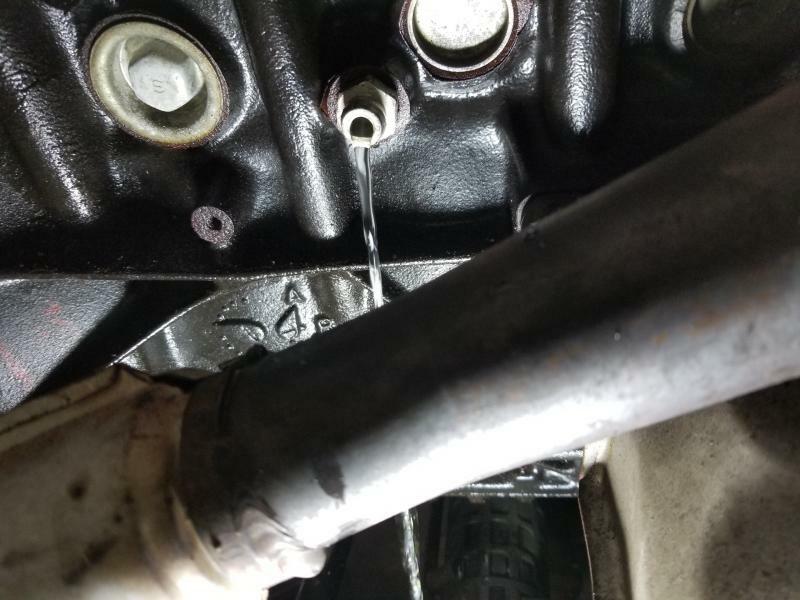 Even with coolant contamination, you could have flushed the coolant lines separately. I did drain the torque converter and since this was my first time I didn’t measure accurately what came out. I wanted to flush because I wanted to make sure the dirty fluid from the gears and mechanical parts get cleaned out since I can’t take all those parts out to clean also wanted to flush to get the ATF coolant return lines cleaned since I didn’t open then except to reconnect the new radiator. I hope this helps clear up . If you have 7.5 fresh quarts in there, you’re close to done. Get it to the right level, drive a few hundred miles then drain only the pan a couple more times and call it good. Really stuck at this point. After letting the car sit overnight I checked the level on the ATF this AM and it was right at the COLD setting marks on the dip stick. Raised the car and let it run for 15 minutes and ran through all the shifts, looks like it was "struggling" and then shaking a little. The first video is from running through all the shifts. This is puzzling me after running for 15-20 minutes and outside temperature 65 degrees the pan was reading 46 degrees Celsius The pan was lukewarm and not hot to touch. I measure it with the pyrometer and you can see the picture. I took another measurement from the dipstick after turning the car off and it was reading at cold level. I am just confused at this point. ATF isn’t going to get to 80*C idling. You need a solid 20 mile drive, not stop and go, to get there. That’s what frustrates me about checking ATF level - my commute is 13 miles each way. I have to go out of my way to get ATF hot enough to take an accurate reading. 5 Attachment(s) Coupe windows scratched.